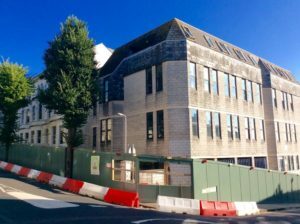 New plans for the former Brighton maternity hospital site in Buckingham Road are due to go before councillors next week. This is the third application relating to the plot on the corner of Buckingham Road and Upper Gloucester Road in the past few years. The latest plans involve the partial demolition of 80 Buckingham Road, which was built in the mid 1970s, and the construction of a five-storey building over a basement to create 20 flats and a community space. Neighbouring Victorian buildings which formed part of the complex, at 76-79 Buckingham Road, are to be converted into 14 homes with car parking, cycle parking and landscaping. In 2016 permission was given to demolish the modern building and build a five-storey block of 20 flats and convert the houses back into four homes. A further proposal in 2017 involved subdividing the Victorian town houses into 14 flats and reusing the existing structure at number 80 but without incorporating any community space. The current application builds on the 2017 application by reusing the structural frame at number 80 and keeping the community space. Homes in the five-storey building would be five one-bedroom flats, 14 two-bedroom flats and one three-bedroom flat. In 76-79 Buckingham Road there would be 12 two-bedroom and two one-bedroom flats. 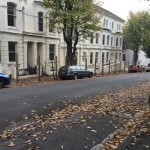 Buckingham Developments (Brighton) has committed to all 14 of the flats in the town houses being affordable homes, which is more than the council’s policy of 40 per cent. The development is designed to be car-free but eight parking spaces are available on the lower level of the new block. He said: “Wrong target group – not housing for private profit AGAIN, make all housing on the site REAL affordable housing and social housing ALL aimed at people who are in need of housing. Stephen Anderson, of Buckingham Road, is concerned about the impact of 34 extra homes on parking in the area. In his letter of objection he said that there was a waiting list for parking permits – and that households in the area can buy visitors permits. He said: “The promotion of alternative methods of transport in the assessment are frankly laughable. Walking will be promoted by maps and health benefits? “Unsurprisingly there is no evidence provided to support this proposition. Rob Heale, of nearby Chatham Place, also raised concerns about parking and called for more visitor parking. He was pleased to see affordable housing included and said: “These proposals are an improvement to the previous planning application and the inclusion of 14 affordable ‘social rented’ flats is welcomed since this meets the council requirement for a minimum 40 per cent affordable homes in such developments. Officers recommend approving plans with conditions including developer contributions totalling more than £150,000. 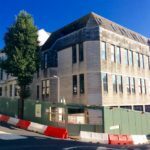 The planning committee is due to meet on Wednesday 15 August at Hove Town Hall from 2pm. The meeting is open to the public. 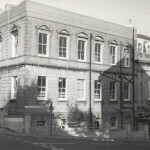 The building once housed Brighton Grammar School and later the Sussex Maternity Hospital where thousands of Brightonians were born. It then became an old people’s home. And until 2015 it was used by the council’s social services department. Always has been an ugly building, and the new building will look almost as ugly, but that’s “progress” for you! It’s a real shame that they don’t knock down the existing steel frame structure and build something architecturally appropriate instead of just re-using what is there and building something virtually identical to the old monstrosity! Crappy building and crappy plans!